Nowadays, baldness and hair loss has become a common occurrence among many men and women, and youngsters too at that! The statistics of balding in young men and hair thinning in women are alarming. There are many underlying causes. While the primary factor is the gene, lifestyle choices also play a key role in how the thinning/ balding progress. Balding is a gradual process that can take several years. One should watch out for signs, consult a hair doctor and take action. The sooner you take action the better! 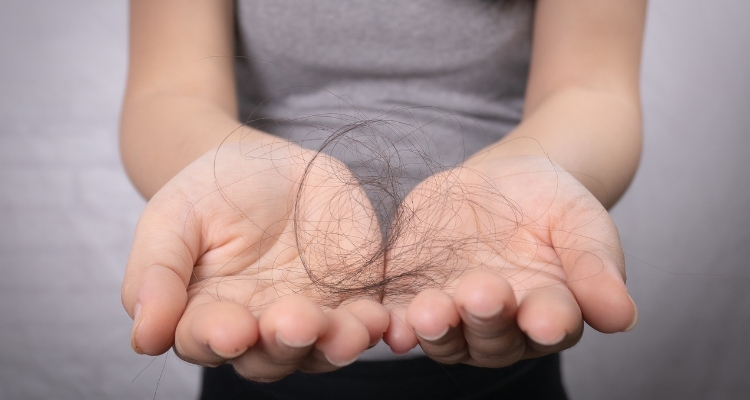 You may ask – But hair loss can be irreversible. How can I prevent complete baldness? Will having a head full of hair remain a dream? There are solutions. Technologies have advanced so much that one can diagnose an issue well ahead in time and go with a solution that would help address it. Out of the various treatment options, many opt for Hair Transplant to overcome the issue of permanent hair loss and balding. As soon as you hear ‘hair transplant’, you start having questions in your mind. Read our earlier blogs “The 5 W’s of Hair Transplant” and “10 things you must know before going for Hair Transplant” can solve all your doubts” to clear these doubts. Once you have narrowed down on your solution as Hair Transplant, the question that needs to be addressed next is as regards the method of transplant to go for and where to have it done. The best method of Hair Transplant or Hair Restoration is undoubtedly the AHI Method. What is ‘Aesthetic Hair Implants- AHI’ Transplant? RichFeel through its alliance with Ailesbury Hair Clinic of London, the world’s leading company, introduced the ‘Aesthetic Hair Implants- AHI’ technique, a unique technology, for the first time in India. It is a significant advancement in the surgical Hair Transplant procedure. While until now one may have heard of only FUT or the FUE method, this is one step further. ‘Aesthetic Hair Implants- AHI‘ technique is the latest and the best in surgical hair transplant techniques for flawless hair restoration. One can confidently say that this hair transplant technique has redefined surgical hair transplant treatment or hair restoration, through advancements in technologies for hair follicle extraction and implantation for ultimate results. This type of hair transplant procedure can place up to 3,000 to 5,000 hairs in a single sitting, thanks to the Patented Mechanised Extractor. AHI implants about 60-70 hairs per sq.cm which is much more than in conventional methods & is vital for a high-density end result. Foli Pen technology that does not make a slit in the frontal hairline and can create a natural (zig-zag) frontal hairline. AHI uses an extractor with a tiny punch graft of 0.5-0.8 mm diameter which is much smaller than the conventional FUE techniques leaving no visible scarring. The hair planted starts growing after three months at the rate of 1 cm/month. The hair implants are not only guaranteed to grow but, also stay with you forever. Transplanted/restored hair roots behave in the same manner as the hair from the donor area. Transplanted hairs can be cut or trimmed regularly after growth. This procedure is executable in just a day. There is no need for hospitalization and doesn’t involve a complicated aftercare routine. No-Shave option available on consultation with the doctor. Best-in-class, state-of-the-art operation theatre with most advanced infrastructure, skilled surgeons & superior hygiene settings. Less downtime, less tissue trauma thanks to the superior technology of extractor. The cost of the procedure is highly affordable and a patient is given the option of converting the entire investment into easy interest-free EMIs. Quick recovery time – in both implanted and donor areas. A vast network of specialized clinics to get the procedure done practically at your doorstep. To understand, what hair transplant is and whether it is indeed the right option for you, you SHOULD meet a Trichologist. Hear-say or browsing on the net may help understand these things at a macro level. But each individual is different and their need is different. Richfeel is a reputed hair transplant clinic which encourages its visitors to find out more about the hair restoration procedure and whether it is the right choice for them. The Clinic chain follows a transparent and committed approach; there is a firm belief that one solution can never quite fit all. The Trichologists invests time to completely understand the patient’s present condition, overall medical case history, a lifestyle of the individual and expectations, before starting any treatment. And the treatment is started only once there is a clear understanding on both sides. Further, the medical expertise and the technologies in use here are unparalleled in the country. As evident from above, RichFeel offers the world’s most innovative technique for scar-free, hassle-free Hair Transplant. Certified doctors at the Clinics help patients with personalised solutions, after thorough analysis. The Clinic further guides the course of the 8-12 months after surgery as well to ensure progress and support. Visit your nearest RichFeel Clinic to experience true care and expertise.